Serving Alvin and the surround areas. We are members of the National Pest Management Association, the Texas Pest Control Association, and the Greater Houston Pest Control Association. 👍🏻👍🏻Love y’all in every way😁. Very nice, professional company, with good results for pest control. Always pleasant and professional. And we rarely have a pest problem. Prices are too high compared with some other companies, but the service is good and it keeps bugs away. Been a customer for about 30 years and never got a price break,(senior citizen). I have been a customer for over 15 years and have been completely satisfied with their service. If there is ever a problem, they are quick to respond and resolve the issue. I highly recommend them. Very reliable and dependable! Would not consider using anyone else! Great company! I have used them for years. Always courteous and on time. Fair prices as well. Alvin Pest control has always answered our questions, service is right on. They cover the entire acre and set a boundary around the house. Never have a problem with roaches, or other in the house bugs. They also do our termite protection. Had them when we bought the house. Haven't seen a sign of them since Alvin Pest control serviced them. Their continued service is very dependable. Recommend them to anyone. I am very happy with Alvin Pest Control. I have used them for 20 plus years. They take care of all my pest control. So glad I used alvin pest control! They were recommended by our neighbor and I was so pleased with how efficient they were. The best part was that they explained everything they were going to do. And we had no limitations for how soon we , including pets, could be in the home. Bonus- no odor. Highly recommend ! Great professional service. I have used APC for the past 20 years and have been completely satisfied. On time. Very knowledgeable on all subjects. Very professional Use safest products plus are animal lovers and go to great lengths for the safety to us and wildlife. No mess to clean up after treatment. Family owned. Reasonable pricing. Alvin Pest Control, great to work with, great job on helping us eliminate wasp problem. Highly recommend them! Awesome service!! Thank you so much!! Thank you for the awesome rating! Please let us know how we can help you in the future. Outstanding service at reasonable prices. I felt like the owner went out of his way to make sure everything was taken care of. I really appreciate that kind of service! Thank you Ms. Scheffield! We are glad you were pleased with the service. Let us know what we can do for you in the future! Great job. Punctual and informative. Thank You, Mr. Wilcox!!! We are here whenever you need us! Thank you for the high quality, informative service provided by Mr. Thornton and his office. The communication was outstanding as was the professional services rendered in resolving our issue. The pricing was very fair and commensurate with the effective service. I will HIGHLY recommend this Company to everyone who has a pest issue. Very refreshing!! Thank You, Mr. Bernard! It is our pleasure to do the best we can for each and every customer. The service and information was great. Great services! Pet and Kid Friendly as well. I would recommend. Thanks! I'm thrilled you were pleased with the service! Easy to schedule. Showed up on time. Was very thorough. Please let us know if there is something more we can do to satisfy you! We would like every customer to feel they received 5 star service! No ALIVE roaches THANK YOU! Great service and results. No more problems after the first visit. Just wanted to say that we are very pleased with the quality of your service and the friendliness of your staff. We for sure will be using Alvin Pest control instead of our previous exterminator. Used them for years. Never had a bug or rodent problem. We would highly recommend them to anyone. As always, THANK YOU for the opportunity to provide service for you! We have always experienced great service with Alvin Pest Control. They are polite, provide accurate & efficient time frames and prices are good. Overall GREAT Service ALL the time!!! 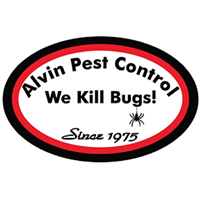 Alvin Pest Control has been killing and preventing bugs for our business for years and we love the work they do. Alvin Pest Control came highly recommended by another parish. They were one of the best priced in the area. Quick response and seem committed to helping eradicate the bugs, including termites. I definitely recommend them to my family and friends. They fit me into their busy schedule and did a great job.